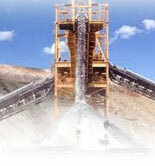 Our aim is to employ the newest, most efficient mining equipment and methods as well as recovery technologies. We will carry out all aspects of the mining, from initial exploration to final site reclamation and regeneration, with as little disruption to the environment as possible. Ultimately, the total mining process will be beneficial to the environment. Mining technology has advanced slowly in the past and many things, believed to be impossible only decades ago, are not only possible but viable today. M Quest has leading edge technology, the �MR System,� which, when fully developed, will have the capability of extracting more than 95% of all gold (coarse and fine) and other precious, base and heavy metals from placer mines. US$10 gold per cubic yard placer ground (as tested by conventional methods), when processed with our MR System, will potentially produce as high as US$40 per cubic yard gold equivalent. The placer pay-gravel is extracted from its natural in situ formation using heavy equipment, placed onto the MR System where it is washed and then classified. Gold and other precious, base and heavy (contaminant) metals are recovered, and the gravels are returned damp/wet to within a short distance of their original location. The washed barren gravel is then contoured and any overburden and/or top soil is spread back on top. The ground is either left to regenerate naturally or seeded per expert advice. All wash water used in our MR System is contained within the system. It is cleaned and reused without the use of chemicals anywhere in the system. Settling ponds will not be used once we complete our Model �C� MR System. Our Model �C� MR System will be the only system able to meet and exceed the stringent new regulations placed on all placer mining in the Yukon as of November 2002. In addition, it will recover in excess of 95% of all the gold (coarse and fine) and other precious, base and heavy metals from the pay-gravels. We will have the ability to mine or reclaim mines anywhere in the world at a low cost, even on poor ground. We also will be able to recover far greater amounts of gold than the original miners did with the then conventional technology. A testing program was carried out in December 2001 and January 2002. 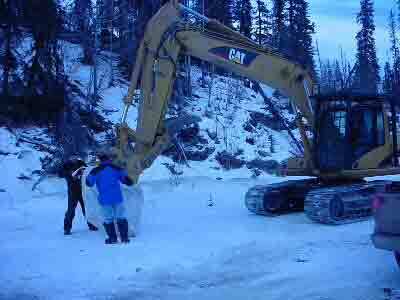 The weather was extremely cold (-50C, -60F) making the testing extremely difficult for men and machinery. 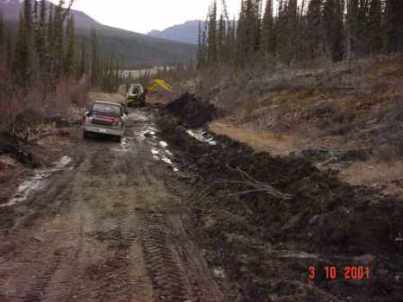 The road upgrading was completed by members of the Kluane First Nation in the beginning of October 2001 just prior to the first snow. When we operated and tested the Model �A� MRS Plant during the 2003 season in the conventional manner, we recovered, on average, US$10 gold per cubic yard of processed gravels. In 2004 we will have the very latest state-of-the-art mineral processing plant�a �modified conventional plant.� Our first priority is to ensure that we clean the water and return the mixed coarse and fine tailings to their original location. We plan to upgrade the fine and ultra-fine gold recovery sub-systems as we prove and improve them. At a minimum, we are using a modified conventional recovery system that has a proven track record and we are progressively upgrading it until we reach the ultimate and final production models that become our MR Systems. In very short order, we will be in production with a stronger, more reliable and much higher capacity mining system. According to our estimates, this modified conventional plant will produce at the 50% efficiency range and, with our water and fines/ultra-fines technology, we will improve the recovery efficiency up to 70% or 80%. This will be our Model �B� MR System. We will further modify this unit to include clay processing capability. After successful testing, we plan to relocate the system in order to begin test mining operations on Fry Pan Creek. The basic components of the modified conventional plant will be a primary washing unit, that will thoroughly wash both boulders and gravels, and a primary classifier to handle the coarse feed material. The undersize material and all wash water will go through further classifying equipment and then over two 9-foot circular jigs. The underflow from these 9-foot jigs will go to two 3-foot circular jigs and then to a centrifuge. The concentrate from the centrifuge is then fed over shaker tables to recover some of the finer gold and other precious, base and heavy metals from these concentrates. All overflow material from each step will be processed to recover the coarser gold and other metals. We also will have added our technology to recover the fines and ultra fines in addition to cleaning the water of all sediments and, in particular, of metal toxins. 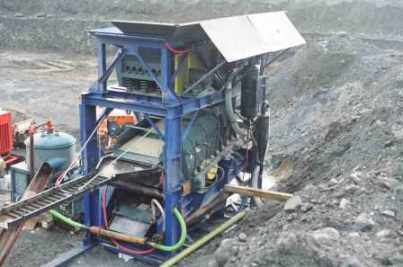 The Model �C� MR System will be manufactured in various sizes to custom suit any individual mine requirements. The Model �C� MR System will be the ultimate placer mining system and we will update it continually with new technology until it is overtaken by the next paradigm shift in mining technology. We plan to remain on the leading edge of technological advancement and be the creators of, or at the very least, be involved in the development of such technology.